No Code, the developers behind Stories Untold unveiled their upcoming mystery scifi thriller for PC and PS4. Coming in Spring 2019, the title deals with the disappearance of the crew of the Observation space station and what happened to Dr. Emma Fisher. The story unravels through S.A.M., a player-controlled A.I. that can operate different systems of the station to help Emma and discover the events. Trailer and screens inside. 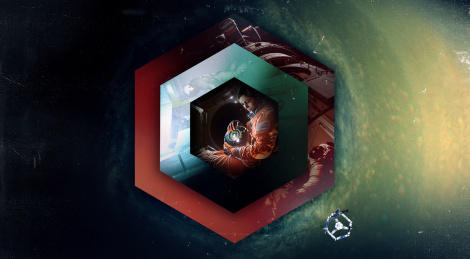 The Edges of Space - Independent developer No Code and sentient game label Devolver Digital have announced Observation - a new and captivating sci-fi thriller for PlayStation 4 and PC. The third project from award-winning Stories Untold developer No Code is set to launch Spring 2019 [observationgame.com]. Really liked the premise and concept of the game. The trailer and the screenshots also look very good, the trailer even gave a bit worry for the character, which I can't remember almost any trailer ever doing that, specially a 1:30 one. I haven't played Stories Untold yet, but it's on my list and if Observation's potential quality is anything to go by, I will definitely check it out soon. Observation actually made me wish it was already out, which is rare for me with this type of genre. 2nd quarter 2019 is a long ways off, but plenty of great games between now and then to occupy the time, so I'm just gonna put it on my Wishlist and forget about it till it's out. A tactic that works wonders when waiting for anything. Trailer is a bit "run of the mill", but it looks very interesting none the less.